Travelers with pets, we got your back. Come see our selection of pet-friendly properties in Winter Park. Choose from homes or condos, year-round. A complex of cabins located at the base of the beautiful Kremmling Cliff. Amenities include free satellite TV and WIFI. Modern amenities in a true Mountain Cabin. Two rooms outdoor hot tub overlooking ski slopes. Wi-Fi, Tennis, Volleyball included. Bob's Western Motel offers guests comfortable rooms, affordable rates, exceptional service, and spectacular views of the scenic Colorado Rockies. The Canyon Motel offers renovated rooms, kitchenettes, and quiet nights. Walking distance to many hiking and biking trails, fishing and a 10 minute walk to the Hot Spgs. The Inn at Silver Creek provides world-class Granby Colorado Lodging in heart of Grand County. Vintage Hotel is a renowned Winter Park ski resort with a conference center, on-site dining, and superb guest accommodations. 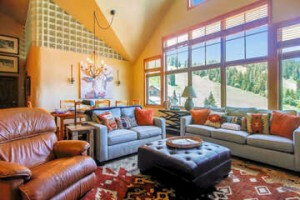 Luxury, welcoming bed and breakfast in the heart of the Colorado Rockies. Traveling with your pet? Two of our three cabins are dog friendly! Bring your horse! Winding River Resort is the perfect location for a horseback riding vacation. With the only microbrewery in Winter Park, this getaway is one of the largest in the area atop panoramic views of the base of Winter Park Resort and just two miles from town.